The Capitals are raising funds for Fort Dupont Ice Arena in Southeast D.C., which is the only ice arena in the D.C. borders and also provides free or subsidized skating programs to children, including hockey. According to NBC Sports Washington, on Jan. 25, D.C. Mayor Muriel Bowser requested that about $25 million allocated for its renovation be rerouted to other programs, like building renovations to D.C. public schools. 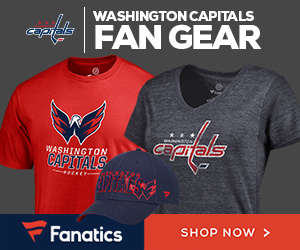 Ted Leonsis and Monumental Sports Foundation stepped in, and have created a GoFundMe page with a goal of raising $500,000. The NHL, MSE and Leonsis family are donating $100,000 each toward that goal. Even the 50/50 raffle at Sunday’s Caps-Bruins game – which turned out to be $12,658 – is going toward the funds. Fort Dupont Cannons coach Neal Henderson was in attendance. Kudos to the Caps and NHL for starting this initiative in response to the budget cut. Let’s hope these funds buy the rink some time.